These ideally sized 5 oz. 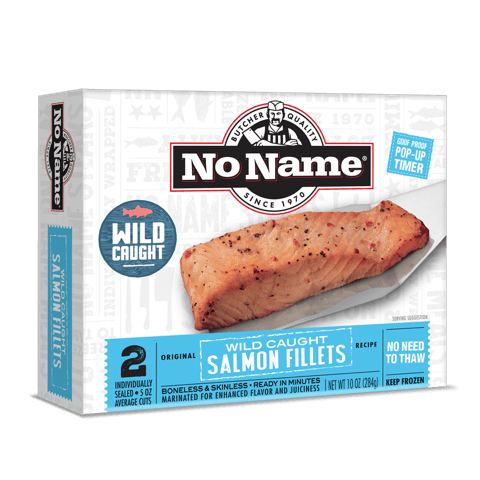 wild caught Keta salmon filets feature our original recipe marinade and a unique pop-up timer that makes the perfect preparation goof-proof. 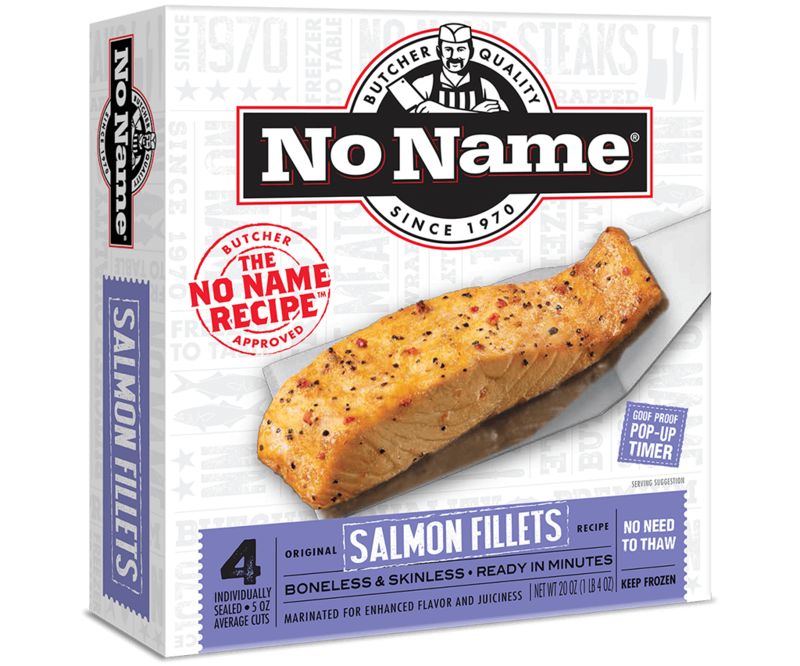 See below for No Name® Wild Caught Salmon Filet recipes. 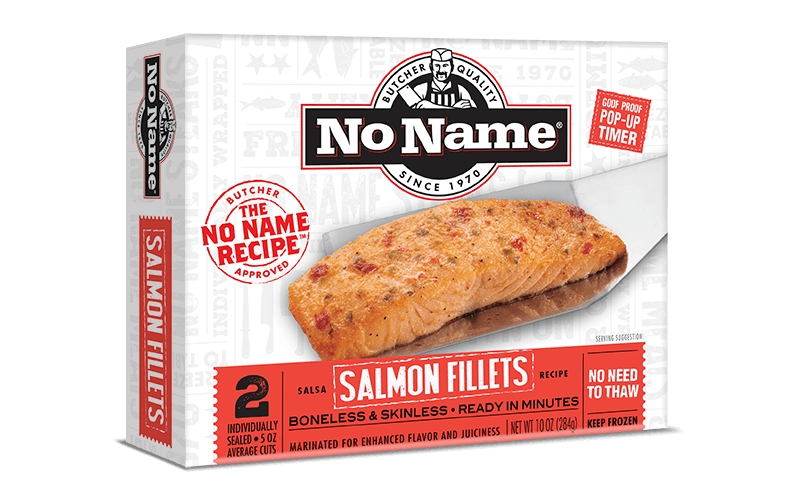 INGREDIENTS: FISH, SALMON, WILD CAUGHT FILET, OIL BLEND (CANOLA OIL, EXTRA VIRGIN OLIVE OIL), WATER, SEASONING (SALT, SPICES, DEHYDRATED GARLIC, PAPRIKA, DEHYDRATED ONION, YEAST EXTRACT, DEHYDRATED RED BELL PEPPER, CITRIC ACID, GRILL FLAVOR (FROM SUNFLOWER OIL), NATURAL FLAVORS, SMOKE FLAVOR). CONTAINS FISH. 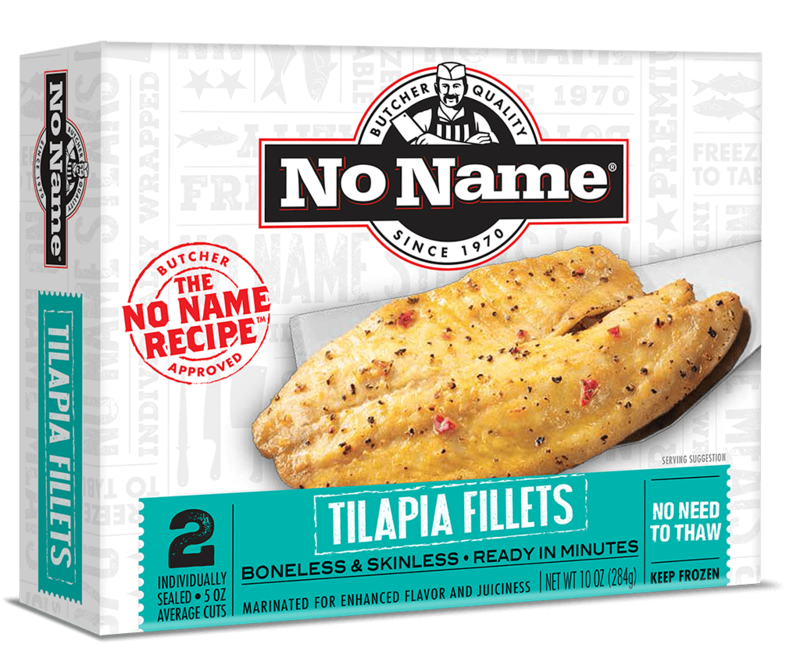 Place in oven and bake according to times listed below.